Over the years – it has became a rarer and rarer occurrence for ESPN to have a feature that really reaches out and grabs you. Today, they posted an item that will be featured in the upcoming issue of ESPN The Magazine that is about as ‘must-read’ as it gets for a baseball fan. 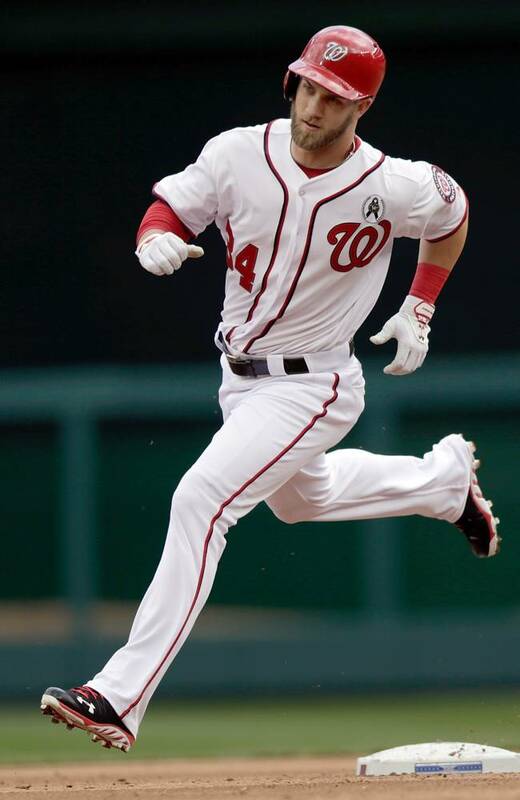 24% of polled MLB players feel Bryce Harper is the most overrated player in the game. He’s followed up closely by Yasiel Puig at 21%. I guess that means we have an affinity for overrated guys. 81% of those polled feel baseball is ready for an openly gay player. Best estimate at the percentage of players still taking PED’s is 9.4%. Mike Trout was voted an overwhelming 56% as the best player in the game. Agree wholeheartedly there. It’s about a split on if the polled players want Alex Rodriguez kicked out of the players union. Clayton Kershaw has mad, league-wide respect. In all, 143 players were polled. Any time we can get a look inside the mind of what those inside the game feel and believe, it’s worth reading. This would include takes from professional scouts, and it would certainly include players themselves like this poll did. And as for the most important takeaway take from the whole bit – Bryce Harper has been a bit overrated so far – even if he’s been pretty good. If his career has one feel to it, that’s the word you might use to describe it. It’s not a bad thing because the best is yet to come.